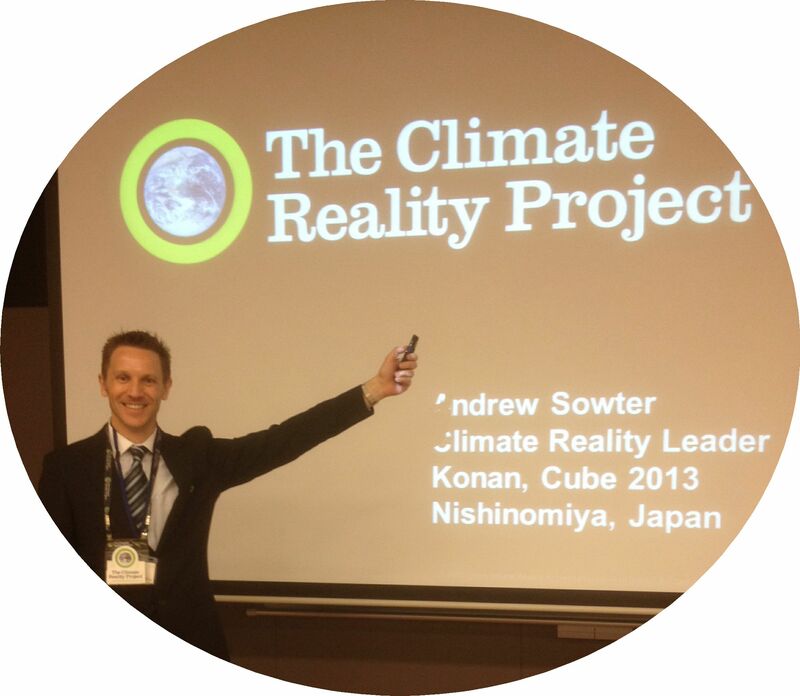 Living in Nara with his Japanese wife and 2 children, Andrew Sowter iscurrently an Assistant Professor (SIL) at Kwansei Gakuin University’s Language Center. Being passionate about protecting the earth for his children and future generations he recently attended a Climate Reality Leadership training seminar conducted by Al Gore in Chicago. It is his fervent desire to communicate this message and influence Japanese society to take part in the current global climate change discussions by influencing people to voice their concerns about our world, our climate and our children’s future! 【講演概要】The current academic testing system tends to produce students who can remember facts well, but when asked to analyse and comment on a complex or controversial topic, are often unable to provide their opinion and are left searching in their textbooks for an answer! To overcome this absence of understanding on the issue of climate change, among students, it is hoped that by providing an updated version of the presentation given by Nobel Peace Prize winner, Al Gore in his award winning movie, An Inconvenient Truth, teachers at all levels will be empowered and motivated to act as environmental ambassadors within their own sphere of influence, the classroom. Copyright© 関西英語教育学会 The Kansai English Language Education Society All rights reserved.